If you’ve been using hot foil to create unique, personalised items for your customers, the chances are you’ve been focusing on the usual suspects – paper labels and bags, greetings cards, stationery and leather goods like belts and straps. But why stop there? Branch out and increase your repertoire with these ideas for unique and original hot foil products, including everything from car badges to guitar plectrums. How do you make a gift truly special and unique? Personalise it of course. Many retailers are now tapping into this market, making use of hot foil to custom-print gifts like chocolate boxes and wine bottle labels. 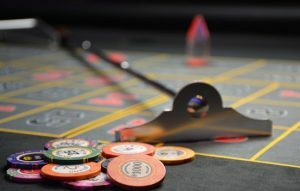 Our hot foil machines can even personalise poker chips! Boutique fashion brands can create some truly distinctive and exclusive personalised products using hot foil stamping. Think belts, bags, watch straps and even jean tags. You can even use a hot foil machine to customise the arms on a pair of spectacles or sunglasses. Have you ever thought of using your hot foil machine to create unique and unusual designs on shoes and boots? Logos and attractive patterns can be embossed or debossed onto almost any shoe. You can even hot foil welly boots – a perfect gift for budding gardeners or dog walkers. Musicians often get attached to their kit, so there’s definitely a gap in the market for personalised equipment. 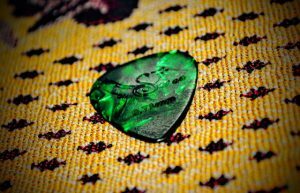 Why not offer a range of customised guitar plectrums created using hot foil? These could be personalised with the guitarist’s band logo or initials. Don’t stop there though – think about personalising guitar straps, drum sticks and more with hot foil. With a hot foil machine, you really can get creative with the items you offer for sale. Why not experiment with paper, card, leather, plastics and vinyl, thinking outside the box to come up with distinctive and memorable products that you can’t get anywhere else? From the ordinary to the unordinary, there’s always something else you can personalise with a hot foil machine. At Metallic Elephant, we’re passionate about hot foil printing. For advice on choosing the right foil dies or machines for your needs, just get in touch on +44 (0) 1206 251221.